The benefit of medical jewelry is to tell emergency healthcare providers what life-threatening conditions you have when you're unconscious or otherwise incapacitated. If you could speak to us, you would be able to tell us on your own. Medical conditions that could kill you and also make you unconscious. Diabetes is the most common version of this, but as you'll see below, that one's not really important because it's so common. 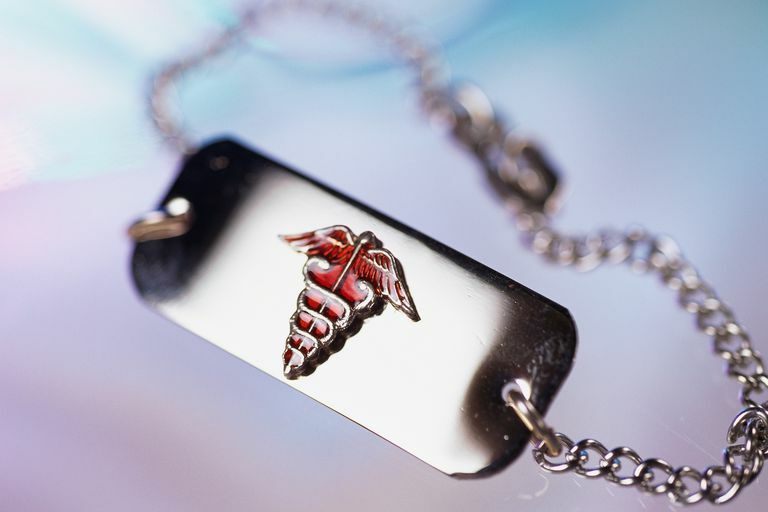 If your disease is likely to render you unable to communicate with the paramedics and could kill you, putting the name of the condition on your medical jewelry is hugely important. Do not resuscitate (DNR) orders. There's only one medical treatment so important that it takes a doctor's order not to perform it: CPR. If you have a do not resuscitate order – an order not to perform CPR—you should wear something that says just that. Sometimes the information isn't necessarily going to save your life. Instead, it might serve to save you money. If you have a seizure disorder like epilepsy, you might find yourself waking up after a seizure to the face of a paramedic. The first time a person has a seizure, it could be caused by any number of life-threatening conditions. A person with a seizure disorder, on the other hand, might have a few seizures a week and go on about his or her business without a second thought. A paramedic meeting you for the first time won't have any way to know if this your first seizure or your hundredth seizure. Medical jewelry is one way for paramedics to know that you do indeed have a seizure disorder and you probably don't need to be transported to the hospital. In that case, many paramedics will simply wait for you to wake up from the seizure in order to have a chat with you about how to proceed. On the flip side, medical jewelry that says you have a brain tumor could indicate that a seizure is a life-threatening event. Many allergies, like bee stings or food allergies, are also put on medical bracelets. The thing is, it doesn't matter why you're having an allergic reaction. The signs and symptoms are often very similar and so is the treatment. Putting your allergies on a necklace might not help at all – unless it's an allergy to something we might give you. If you're allergic to latex or a certain medication, it's a good idea to let us know either verbally or through the jewelry. conditions that look life-threatening but aren't (such as a seizure disorder). allergies or hypersensitivity to things we provide (medications, latex, iodine). medications you are taking that can cause harm (beta blockers, blood thinners). allergies to things we don't provide. It's not that trained medical professionals don't care about these issues. It's the fact that it won't have any bearing on how we treat you. Healthcare providers in emergency settings are trained to rule out certain conditions based on patients' presentations. We don't need to see it written on a bracelet to know that your blood sugar is low. Instead, we need to do their jobs. While these conditions may not be directly useful for medical professionals in the event of an emergency, you might consider including this information anyway. For a non-medical bystander, for instance, it could be helpful that they know you have a certain condition. For instance, a person who knows you have diabetes may be more inclined to provide you with orange juice or candy if you are acting strangely. It's important to remember that while it couldn't hurt to list any/all conditions on medical jewelry, a trained medical professional will rapidly assess a person's current condition (breathing, consciousness, pulse, etc.) without necessarily taking into account specific and preexisting conditions. For instance, if an asthmatic person needs emergency assistance, but the medical professional is unaware of her/his asthma, respiratory distress will still be evident and treated as necessary by the professional.